In recent years most of Perth suburbs has seen an increase in ant activity. Just walk outside now and have a look at that little pile of sand (or big pile) mounting up year in and year out. These little buggers are creating voids under concrete and pavers which then can lead to cracking because of expansion and contraction. Buried building material like timber, paper or unseen root systems will eventually breakdown and again create voids that lead to unwanted cracking. Dare I say “all concrete should be reinforced”, no exceptions? Unfortunately, sometimes it comes down to affordability and “leave the reo out” attitude is still prevalent. Reinforcing can aid in concrete strength and minimise unsightly cracks opening wider. Reo bars are highly recommended on corners for added strength. Expansion filler should be used anywhere that concrete doesn’t have room to expand. Examples are, in between walls, along external piers and anywhere with corners. Control joints are crucial to minimising cracking and are placed at regular interval to create a weak point for the concrete to crack. Saw cutting control is highly recommended. Cuts should be no larger than 3 meters apart, preferably less if possible. Joints should always be placed on corners and if possible at plumbing outlets. Be sure all plumbing is well below sand level with at least 100mm of sand cover which can be compacted and made solid. 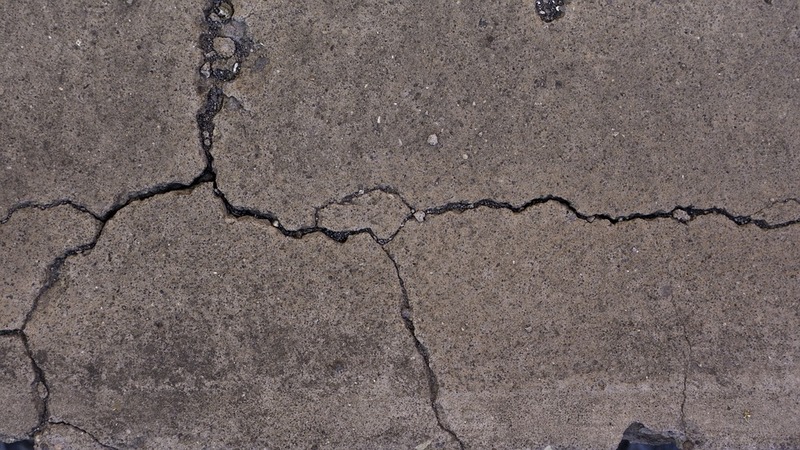 Cracks will appear, unless you throw lots of money at creating a super strong concrete base, concrete will crack. Three things you can count on, taxes, death and cracks in concrete.